I periodically make things with paper. The affordability of material and ability to transform a sheet of paper into larger structures makes it great to explore ideas. I have been working on some multimedia ideas with the nasa api. I watched a bunch of robotics videos about mars rovers and the state of robotics tech. 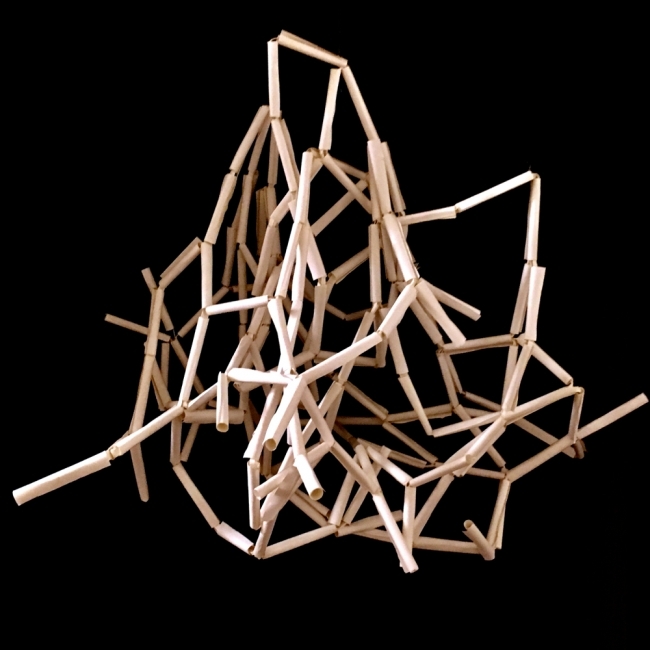 These paper structures are tubes rolled around a pencil and connected with paper joints using matte medium. Dealing with tension, gravity, flexibility, gesture, in building the object. It is suspended by three strings of plastic wire. The negative spaces shift when temperature, time and probably moisture change because paper is a material that is constantly changing. The tension of the modules magnify environmental effects.